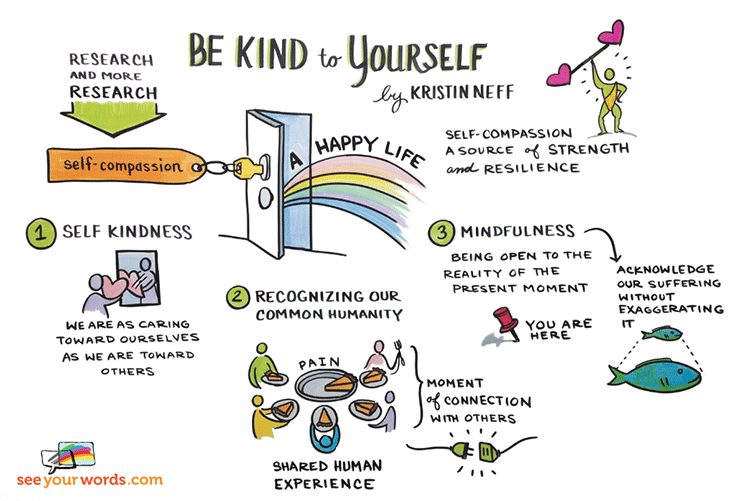 Inspired by Kristen Neff’s article for Lion’s Roar on self-compassion, graphic recorder Johnine Byrne created this wonderful graphic recording of Neff’s three steps for self-compassion. 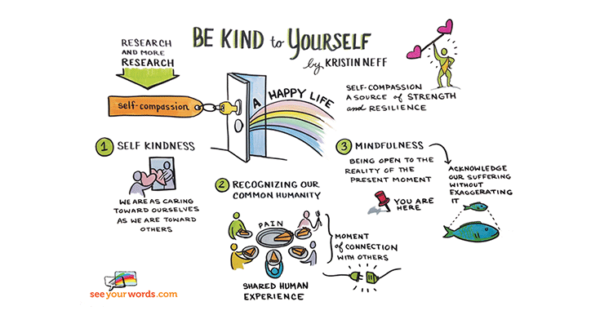 Neff also writes, “Self-compassion means being more willing to experience difficult feelings and to acknowledge them as valid and important. 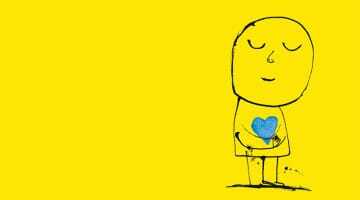 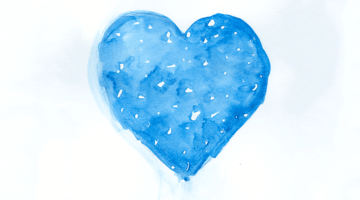 The beauty of self-compassion is that instead of trying to get rid of ‘Bad’ feelings and replacing them with ‘good’ ones, positive emotions are generated by embracing our suffering with tenderness and care, so that light and dark are experienced simultaneously.